In response to the photo challenge Shadows and Reflections. 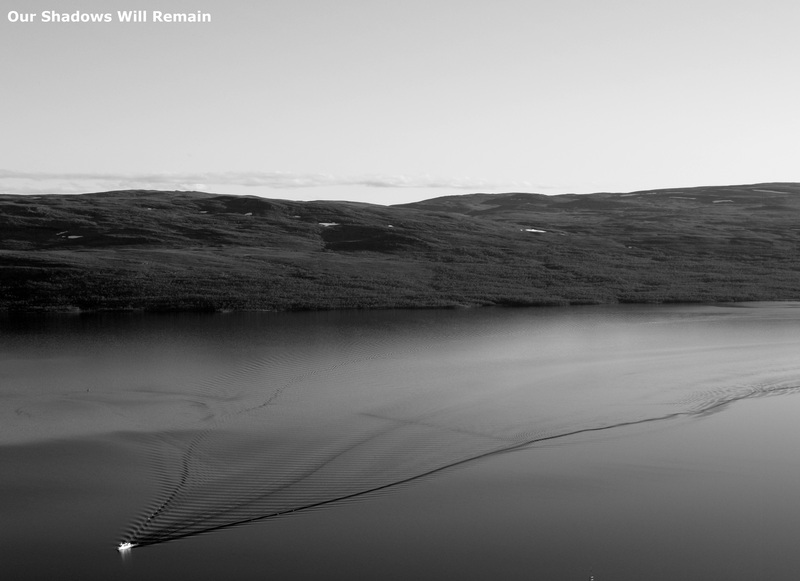 The Three Nations Border Point can be reached by ferry or an 11 km one way walk from Kilpisjärvi. There are a few different ways it can be reached of varying difficulty, I chose to take the ferry one way and return on the Malla Trail to Kilpisjärvi Via Pikku Malla making the total distance 16 km. From the ferry drop off point the Three nations Border Point is an easy 3 km walk along the fenced border between Finland and Sweden. 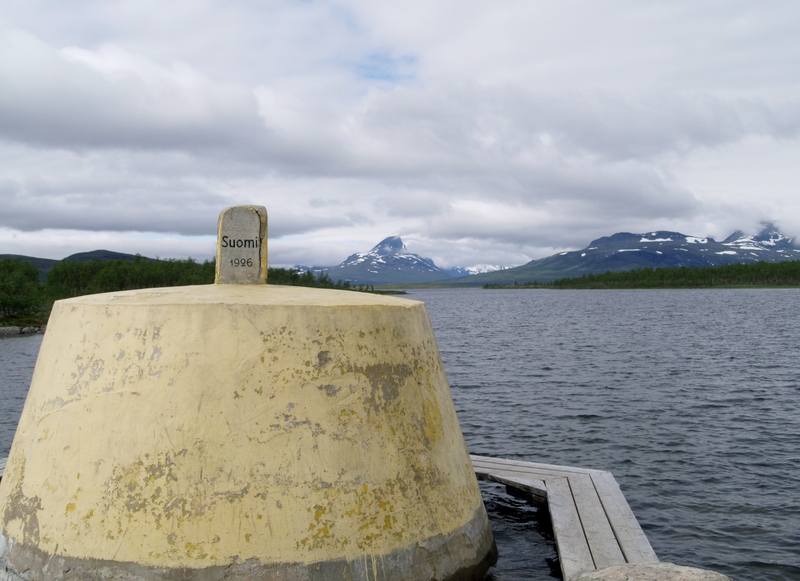 The exact point is located 10 meters into lake Goldajärvi and can be reached by following a planked walkway to where the monument has stood since 1926. The idea is that you walk around the monument and visit each country by doing so, this allows you to see it from every angle and with a different country in the background. Once leaving the border point the trail takes you through the trees and up onto the mountains. Once up the walking is fairly easy and continues with beautiful scenery over Kilpisjarvi and Saana which is unlike any I have seen elsewhere in Finland. Would you visit or have you visited the point where three borders meet? The Three Nations Border Point features on my post 5 Things to do in Finnish Lapland in Summer.